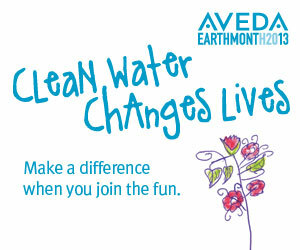 Snellville, GA (April, 2013) – April is Earth Month at Aveda. In 2013 the botanical beauty brand is committed to raising $5 million for clean water and Snellville’s very own Anazao Salon is stepping up to support the effort alongside thousands of other Aveda locations around the world. Anazao Salon has set a fundraising goal of $2,325 and will host clean water fundraising events throughout April. Aveda professionals in more than 30 countries have collectively raised more than $26 million in support of Earth Month since the campaign’s inception in 1999. Beginning in 2007, Aveda has donated Earth Month proceeds to organizations working to combat the clean water crisis – to date more than $20 million have been directed to support hundreds of clean water projects on six continents. Funds raised by Anazao Salon will benefit Chattahoochee Riverkeepers – a local charity who’s mission is to advocate and secure the protection and stewardship of the Chattahoochee River, its tributaries and watershed, in order to restore and preserve their ecological health for the people and wildlife that depend on the river system. Call (770) 978-7376 to book your Appointment for the Earth today or visit www.aveda.com for more information. 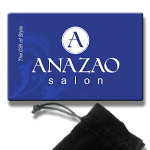 Founded in 1998, Anazao Salon is an award winning, full service, Aveda Concept hair salon located conveniently in the heart of Snellville’s shopping district near the intersection of Scenic Hwy. 124 and Ronald Reagan Pkwy.. Offering “City” service & expertise with “Suburb” hospitality & warmth is the Anazao staff’s daily mission! With a team of stylists that are highly trained and dedicated to helping their guests look their best no matter what their style may be — Anazao Salon is Snellville’s premier Aveda salon. Founded in 1978 in Minneapolis, MN, Aveda creates high performance, botanically-based products for beauty professionals and consumers. 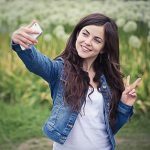 The company continues to innovate in botanical technologies, drawing inspiration from the principles of green science with ancient Ayurvedic wisdom to develop performance-driven, plant-based hair, skin, body and make-up products, and a comprehensive menu of ritual-based treatments for head-to-toe beauty. Throughout the years, Aveda has pioneered new benchmarks of environmental responsibility in beauty, having been the first privately-owned company to sign the Ceres Principles in 1989 (Coalition for Environmentally Responsible Economies) and the first beauty company in the world to manufacture with 100 percent wind power. Aveda was also the first beauty company to receive a Cradle To Cradle charter for its commitment to sustainable products, packaging and production. Since 1999, Aveda’s annual Earth Month campaign, held each April, has raised more than $26 million to support environmental projects around the world. More than half of the fastest growing and best-run salons in the U.S. are Aveda distributors. Aveda products are available in Aveda Experience Centers and more than 7,000 professional hair salons and spas in more than 30 countries and at www.aveda.com. Per a review of WWD Beauty Report International Top 100 Cosmetic Manufacturers’ Corporate Websites in April 2007. The wind energy goes into a utility grid from which Aveda draws power.